Tattie was shown and was placed at the Royal Show in 2004. She is a granddaughter of Shoyswell Blossom, and great grandaughter of Lindridge Trixie who both produced 13 registered progeny and Trixie a maternal granddaughter of one of the foundation cows in the british charolais herd book, Coat Iris, who produced 32 registered progeny! B. Rumsden Cruiserweight born 7th April 2007by Roundhill Rocky. 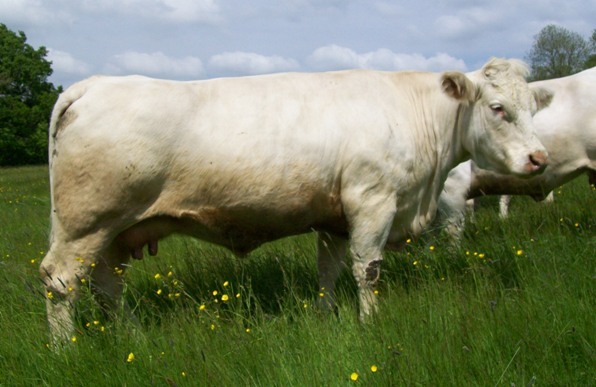 Male Interbreed and Reserve Supreme Heathfield 2008. Reserve Breed Champion South of England 2008. Breed Champion and Reserve interbreed Champion Kent 2008.